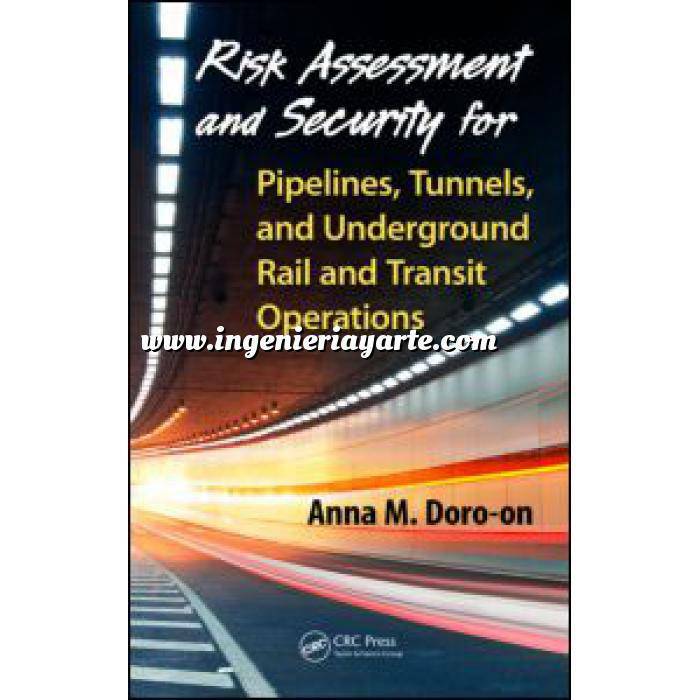 Risk Assessment and Security for Pipelines, Tunnels, and Underground Rail and Transit Operations details a quantitative risk assessment methodology for systematically analyzing various alternatives for protecting underground rail, oil and gas pipelines, pipeline freight transportation, and other tunnel systems from terrorism threats and other disasters. It examines the engineering, environmental, and economic impacts and addresses both direct and collateral damage. The book describes how to employ the methodology of quantitative psychology for effectively assessing risk in homeland security, defense actions, and critical infrastructure protection. Using pipelines, tunnels, underground rapid rail, and transit systems as examples, it maintains an emphasis on applying quantitative psychology to risk management in the areas of homeland security and defense. Approved for public release by the U.S. Federal Government, this book presents regulations, standard processes, and risk assessment models recommended by the U.S. Department of Homeland Security and other federal and state agencies. Describing how to evaluate terrorism threats and warnings, it details protocols for preventive measures and emergency preparedness plans that are based on economic analysis. With comprehensive coverage that includes risk estimation and risk acceptability analysis, the book provides a foundational understanding of risk and the various defensive systems that can improve safety and security as well as thwart terrorists’ efforts to sabotage critical infrastructure.